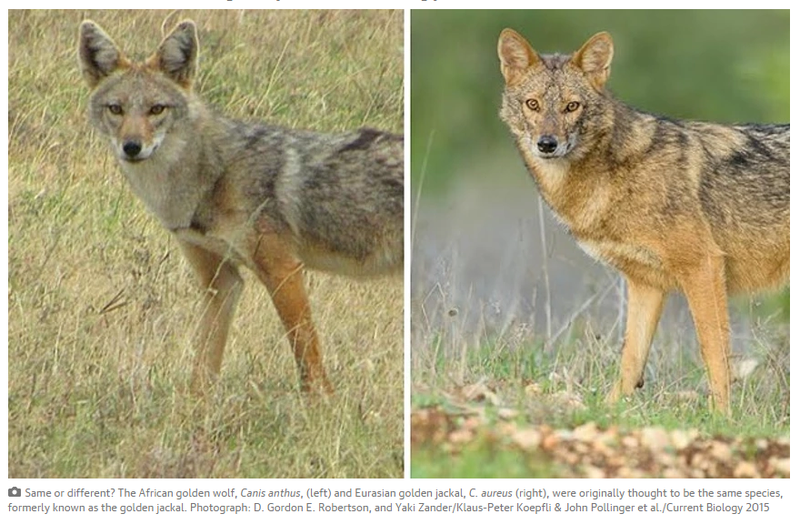 According to The Guardian, scientist have discovered that the African golden jackals are actually African golden wolves. In short, similar morphology between two distinct canid species led scientists to believe that they were different subspecies of the same animal spread out over vast regions of Asia and Africa, but recent DNA tests have shown that one group of the animals is actually a species of wolves rather than jackals as previously classified. The new finding marks the first discovery of a new canid species in the continent in over 150 years. You can read about the “new” species of wolf in a thorough write-up here. It’s pretty amazing that a big discovery like this is possible in this day an age. Does this mean that Mythbri now has to edit her Wednesday Woof post on golden jackals?